The Simple Quick Connect mount and the Easy Mover come with the Quick Connect Receiver attached to the product. 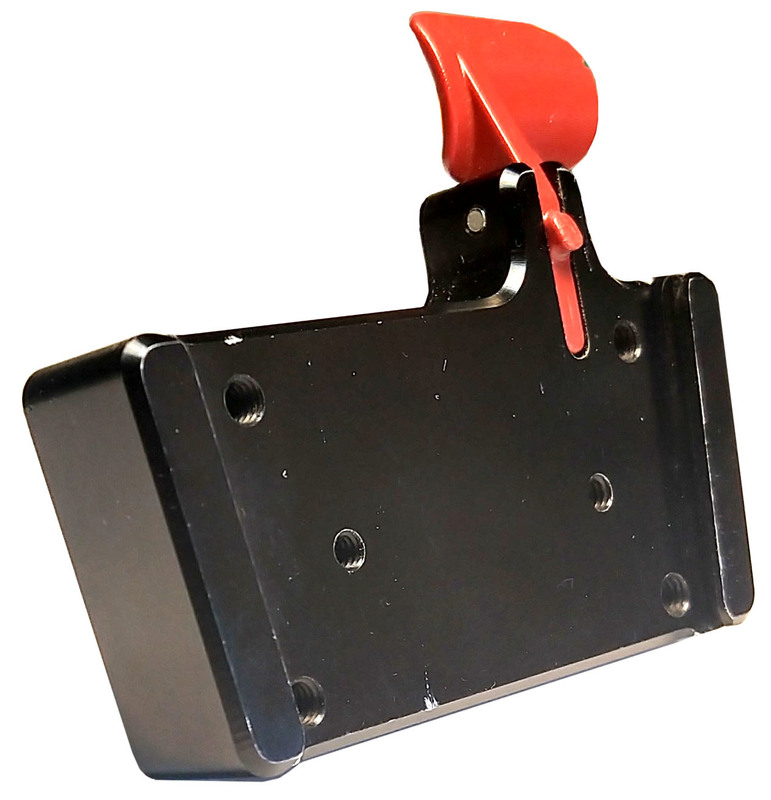 To use the QCR with a Mount'n Mover, you must attach the QCR to a Quick Release Plate (QRP). Using the four flathead 8-32 screws provided, position it so the threaded holes on the sides are aligned with holes on the Quick Release Plate. It can be attached to any set of QRP holes, based on how high you want the device to sit. If you wish to attach an eye gaze system to a Mount'n Mover using the Quick Connect, contact BlueSky Designs.